For the last six weeks or so, I have been buffeted by my own mind which wants to get everything done. But there’s been this huge problem: time. It is out of my control. I would love to be able to add a couple hours to some days, delete hours from others, give myself an extra day especially on weekends (who wouldn’t?! ), and add hours to each night so that I can get more sleep and stay healthy. It’s been a tumultuous six weeks dealing with the flu, a neighbor’s toddler who was screaming through the nights (a behavioral issue, not illness or anything else), and some winter weather that set records in the Upper Midwest, none of which I had any control over. All through this, I’ve been working on the first revision to the second novel in the Perceval series. Every weekend as I’ve worked, I’ve felt an intense guilt for not writing a blog post for this blog. Tempus fugit. The conflict between writing fiction (or nonfiction, for that matter) and writing on social media only exacerbated my frustrations. There was simply not enough time for everything (and there hasn’t been since I began working fulltime to pay the bills). I know that I am not alone in this frustration. I’ve been writing this blog since September 2007, and with few exceptions for surgery, I’ve managed to maintain a posting schedule of once a week on Saturdays. At the beginning of this year, I realized that this schedule, and continuing to work on the novel revision, wasn’t realistic. As a writer, I am happiest when I’m writing fiction or essays. I enjoy writing blog posts, but I see them, correctly I’ve learned, as a way to put myself as a writer and my writing out in the world to build audience. The March 2019 issue of The Writer confirmed this while I was reading it this past week on my daily commute to work. Most of this issue is devoted to promotion and social media. My takeaway? There’s no getting around it. Writers must have an online presence, and Twitter seems to be the place to be nowadays. Writers can pick and choose, however, rather than throwing themselves into every single social media platform. That was good to hear. So, a website is a must. Twitter. The rest would be frosting on the cake and dependent on time. I have a “website” — this blog. I’m on Twitter but for my nonfiction writing, not fiction. Does that mean I need to have another Twitter account? Apparently. I don’t really like Twitter, however. I’ve set up a Facebook page for the Perceval Novels, and I’ve done some networking at LinkedIn in the past. But I have to admit there’s one big obstacle for me to spending a lot of time on social media: I prefer to work on my fiction and essays. Thou shalt not tweet only about thyself. Thou shalt never attack or criticize another writer (unless thou be fully prepared to deal with the consequences). Thou shalt always remember that social media be more about building connections than selling books. Thou shalt support other writers at every opportunity. Thou shalt never offer advice unless said advice is requested. Thou shalt not succumb to jealousy or nastiness at other writers’ fame and fortune, but rather have faith that thy own successes cometh in due time. Thou shalt never tag an author in a negative review. Thou shalt not self-promote in times of national tragedy. Thou shalt listen as much as thou speakest. Thou shalt NEVER, EVER pitch an agent or editor on social media. And with that, I’ll now return to my work on the novel revision. A Week Later — Was the Free Promotion a Success? Is it worth it to have Perceval’s Secret on sale at Kobo International (Kobo.com)? Kobo continued to perform as it has from the first day in March 2014 that I put Perceval’s Secret on sale. That is, a big fat zero. To my knowledge, Kobo has not provided any kind of supportive promotion, i.e. included the book with other similar books in emailings to potential customers. I do know that Kobo has set up an arrangement with another online store to sell my novel also. To my knowledge, sales at that other online store have been zero. As a result of this continued poor showing, I took my novel off sale at Kobo last Sunday. Why did I choose to use Kobo initially? I wanted an online bookstore that would cover foreign markets for the ePub format (the same as Nook). That was Kobo International. How does B&N.com stand against Amazon? It surprised me that the free sales at B&N were also zero during the promotion. When I first launched the novel, I did have some sales at B&N; and with a promotion I did for book clubs, people who owned Nooks almost equaled those who owned Kindles. So I’m mystified by this result to the promotion. I’d hoped to move more at B&N and possibly garner some reviews at B&N as a result. I’ll leave the book on sale there because now it’s the only place anyone can purchase the ePub format of the book. Does Amazon really dominate the online book market as much as I’d heard it did? According to the results of my free promotion, the answer is yes. KDP Support was not very easy to work with, since they would not allow me to change the price to $0 myself (as the other two online stores did), and they kept claiming that the links I provided showing the book at $0 on sale at B&N and Kobo actually showed it as not being free. It left me thinking that KDP Support (which I’m convinced is based in India since all the names were Indian) had a real passive-aggressive way of dealing with people. I did not sign up for KDP Select because I chose to sell an ePub edition as well, so Amazon was not the only online store that was selling the book, and in order to be in KDP Select, Amazon needs to be the sole seller. If I’d chosen Amazon as my only online seller and I’d joined KDP Select, there would be more promotional opportunities through Amazon for me. As it is, to my surprise, Amazon has begun sending out promotional emails that include Perceval’s Secret at the top of a long list of books. Thank you for that, Amazon. 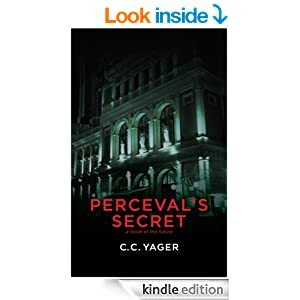 The really good news is that over the 2-week period of the promotion, Amazon sold 245 free copies of Perceval’s Secret. That’s 245 more people (I hope) that now own the book and will read it (I hope). I also hope that out of those 245 people, some of them will be moved to write reviews of it for Amazon, or maybe even GoodReads, too. Or maybe even send me a note, either via this blog or via the Perceval Books Facebook page. As a result of the BookBub Follower promotion run by LitRing that I participated in during the first week of my free promotion, I now have an email mailing list of BookBub people who read thrillers. I plan to use this list in some way, perhaps sending out emails to this list for future promotions. Also as a result of the BookBub Follower promotion, I increased the number of my followers at that site by 156. My expectations for that promotion had been very low, so that number was a nice surprise. I also followed back everyone who followed me and had a public profile. So, I consider this a good beginning to a year of promoting Perceval’s Secret. Last week I wrote about promotional options for older books and factors to think about before launching a promotion, based on an article I’d read in the June 2017 issue of The Writer by Brian Feinblum entitled “Shelf Life: How to Promote an Older Book.” This week, it’s time for me to look at my strategy compared with what Feinblum suggests in his article. Feinblum spends a lot of time in his article on this option. Updating means taking the book off sale first, then doing revisions, changing the cover and/or cover copy, changing the price, among other possible changes. If there’s significant revisions to the text, the updated edition could qualify for its own ISBN and its own publication launch. Updating also includes publishing other editions such as an audiobook. As I’ve mentioned on this blog before, my goal is to publish a paperback edition of Perceval’s Secret. I’ve been considering what I’d need to do to accomplish this goal once I’ve paid off my debt. First, I’d need to format the book for paperback publication. I’d probably return to the people who formatted my manuscript for the e-book. I’d need to return to my cover designer and request a full cover, i.e. front, spine, and back. I’d need to write the back cover copy, including any positive blurbs from existing reviews. I already have an ISBN for a paperback edition. Finally, I’d need to choose where/how to publish the paperback. Right now, CreateSpace is at the top of my list, but I’d want to research other possibilities. While updating a book or publishing a different edition would provide the opportunity for another launch, there is a cost associated – I have yet to do a cost estimate for each step – as well as a time cost. This option requires writing another book. While this is a good idea, it has the same costs in time and money that updating the book has. I’ve played around with writing a novel in which Bernie Brown is the protagonist – maybe a prequel type novel – or a novel that explores the relationship between Evan’s father, Randall, and Evan’s mentor, the composer Joseph Caine. For the moment, however, I need to focus on finishing the remaining novels in the Perceval series first. It’s possible that getting the second and third books out into the world will help sell the first. Actually selling foreign rights, film rights, audio book rights, or any of the other rights I own for Perceval’s Secret could give the book a boost in attention and sales. Feinblum suggests it could be easier to sell in smaller countries or just other countries. If it becomes a bestseller in another country, that could be an effective selling point for the book in America. There is a logistical issue with this option – I don’t have the connections necessary to sell foreign or any other rights. I suppose if I had a literary agent, he or she could assist with this, but I don’t have one at the moment. I have been utilizing this option as much as possible, especially at the Perceval Novels Facebook page where I post news stories and then comment on how Perceval’s Secret is related. I’ve also written posts at this blog tying the novel to current events. It’s been kind of spooky at times that political events or trends that I had imagined for my America 2048 have been happening. Why would a stranger care about this book? This ultimately is the question every writer needs to be able to answer for marketing and promotion. What is the primary benefit of this “product” for the consumer? For Perceval’s Secret, the reasons for a stranger to care about this book would include an imaginative view of the near future, an interesting and different setting in the world of classical music, suspense, twisty surprises, and a story that will stick to your bones. My next task is to take my resources and develop a promotions plan using them. Then to implement the plan over the next 2-3 months. I’ve already signed up for a promotion at BookBub to increase my followers there to get some attention. It’s been a very helpful exercise to go through Brian Feinblum’s article and ask myself how his ideas and suggestions relate to my promotion efforts for Perceval’s Secret. I hope my exercise has given you thoughts and ideas for your own promotion efforts! Lately, I’ve been fretting about my struggle to promote and market Perceval’s Secret which I published as an e-book in March 2014. The novel’s fourth anniversary as a published book fast approaches. I’d love to give it a boost to get it into the reading public’s consciousness to encourage them to buy and read it. Feinblum, in his The Writer article “Shelf Life: How to promote an older book,” writes about how a book’s “window of newness” has been shrinking over the years. If it doesn’t make a big splash in the first three months it’s on the market, selling it after that could be a struggle. But fiction usually does not lose its relevance, accuracy or current status for a long time, while nonfiction could become dated faster depending on the subject matter. Fiction should be easier to promote after the magic three-month period, right? Let the book die and hope for a miracle that someone finds it, reads it, and sparks a word-of-mouth campaign that will boost sales. I call this the “wishful thinking” option. However, if a writer has constraints on time, it could be just as viable as fitting in promotional activities in a busy life. Create and execute a social media strategy. This option demands the writer be on more than one social media platform, and that there is daily participation on those platforms to talk about the book. I’m assuming that a writer’s blog falls into this slot, along with online book bloggers who review books. Target promotional efforts using traditional media, like print, radio, TV. Interviews on radio programs that cover books, book review sections of major newspapers and magazines, or doing interviews on morning news programs be they local or national are some of the possibilities here. Some of these activities could be done in conjunction with a book tour or locally. Having a publicist could be extremely helpful for this category; otherwise, the writer will be doing all the press releases, making the calls and connections, and setting up the engagements. Travel for the book, i.e. do a speaking tour, paid or unpaid. Book tours require careful planning, utilizing connections in book stores and libraries, and getting the word out about a writer’s visit via press release. It’s helpful if the writer can also help with promoting locally his or her appearance in the bookstore’s location by doing interviews or helping with advertising the event. Advertise the book. Print advertising, for example, in publications that the novel’s target audience reads. I continue to consider running ads in Playbill for Perceval’s Secret. This option has a huge drawback: it can be quite expensive not only for buying the media space, but also for producing the ads. Writers can also utilize social media for advertising, working with the platform to create the ads. When I launched Perceval’s Secret, I did a postcard mailing to the musicians of eleven major American orchestras, and would consider another one. Cross-promote with other authors. This is especially helpful if you know a writer who is fairly well known and has a readership, and who writes in the same genre and related genre as you. The better known writer can spark initial interest and give the lesser known writer a bit of a boost. I’ve heard of this most commonly done for book tours when two or more authors hit the road to do readings and book signings together. Have a giveaway. Everyone loves free stuff. Do a free giveaway for a couple weeks and promote that giveaway at GoodReads, Facebook, Twitter, and other social media, as well as on your blog. Keep it a specific time period to generate urgency. If you have a hard copy version of your book, you can do a giveaway on GoodReads (this site is working on setting up procedures for e-book giveaways but don’t yet offer that option). If you have the money, BookBub also offers effective promotion possibilities. Before deciding which promotional options will work for your book, it’s important to think about the factors listed below, and this is where I am at the moment with Perceval’s Secret. I’ve looked at all my options and have done some cost estimates – for example, to advertise on Facebook or promote the series’ Facebook page, to do a BookBub promotion – then made a list of where I can heighten my presence to talk about the novel, for example, creating a series of short videos to post at my Amazon author page, on BookBub, at GoodReads, and at my page on Publishers Marketplace. These videos, as I envision them, would be a mix of reading a short excerpt from Perceval’s Secret and just talking about my experience writing the book or why I think someone should read it. What are your needs and desires for promoting the book? How much time and what resources (money) do you have available? How strong is your belief that your book is worth more promotion? Would your time be better served by letting promotion go of this book and focus on writing new books? Have you figured out why your book didn’t sell as well as hoped during launch or why it failed to generate more reviews? Answers to these questions could steer you in one of two directions. The first is simply to proceed with the new promotional efforts. The second could be to revise and repackage the book and do a re-launch. This second direction offers the opportunity to make improvements if you decide they are needed or to add promotional items like testimonials from readers, quotes from reviews, or getting blurbs or a writer to actually write an introduction. I know that I want to eventually issue a paperback of Perceval’s Secret once I’ve paid off completely the debt I incurred for the e-book. This might serve as my repackage of the novel with a specific paperback launch. But for now, I’m concerned about promoting the e-book edition. Next week in Part 2, how my strategy does or doesn’t fit with what Feinblum wrote in his article in the June 2017 The Writer. Have you ever been faced with promoting an older book? What did you do?